Apart from modern techniques, disease diagnosing in any health problems in Dr.Sharma’s consultation is based on Prukriti pareeksha (Evaluation of personal profile based on vata, Pitta, Kapha). 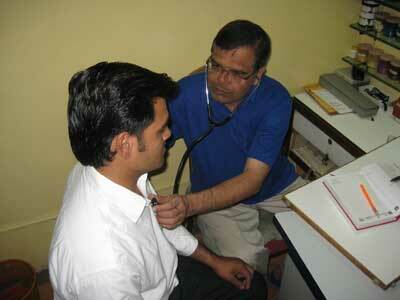 Ayurvda emphasizes on Prukriti pareeksha in diagnosing any health problem. This is termed as QUALITY OF LIFE MANAGEMENT CONSULTATION (QOLMC) This determines your dosha combination. You will be asked about your bodily functions as well as your approach to life, including questions about home, work, past and present health, mental/emotional concerns and eating habits. You will also be asked about your goals in life and your specific likes and dislikes, for example, if you prefer a hot or cold climate. In addition, the practitioner will physically observe your general behaviour, speech, eyes, your skin colour and its quality as well as perform a tongue analysis. Some modifications in your lifestyle may be suggested according to Prakruti leading you to a healthier life. 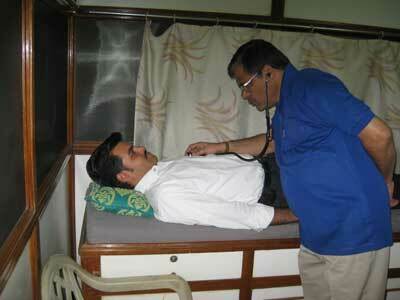 Pulse diagnosis is also a profound diagnostic tool in Ayurveda, used to assess the qualities of the pulse. It provides an understanding of what’s happening to the person in the present and knowledge of the person’s constitution. Three fingers are used representing the three doshas. Dosha dominances and ailments can be diagnosed or possible future symptoms emerging identified. In Ayurveda treating infertility is called as PUNSAVANA. 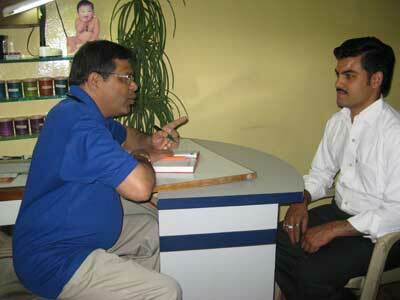 Dr.Mahesh Sharma’s in his medical mainly paid attention on Ayurvedic treatment of Male infertility disorders. 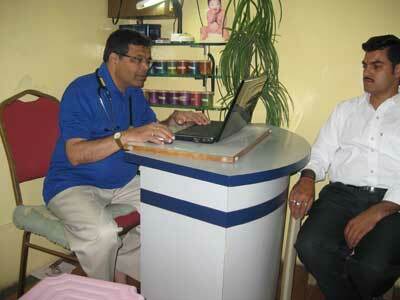 He has the credit of treating many cases of Oligospermia and Azoo spermia with Herbal treatments. With the help of modern diagnostic tools and techniques he diagnoses the root cause of the Infertility. Then, accordingly he formulates the prescription. Based on Ayurvedic preparatory methods, prescribed formulas are prepared. According to Dr.Sharma, classical ayurvedic preparatory methods have better efficacy and Qualitative properties than commercially available preparations. On the contrary commercially available preparations have much better aesthetic values than Qualitative classic preparations. For every patient a comprehensive progamme is designed tailored to suit the individual’s general need, including a combination of daily yoga, meditation, nutritional advice and Dietary regimens. Unfortunately, we find very little Good reading material on medical and Health topics in Hindi. Dr.mahesh Sharma has done a lot of translation work of Health Wikipedia in Hindi.